The number of works by Richard Strauss is almost incalculable. Actually, the composer, conductor and musician always had music in his head. It was only during the game Skat that the melodies in his head could take a short break. Otherwise, Strauss would take no breaks, as is evident by his long list of works. 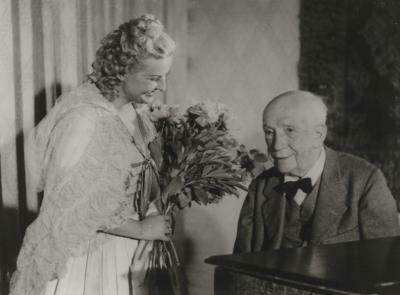 During his lifetime, Richard Strauss wrote a total of 16 Operas. 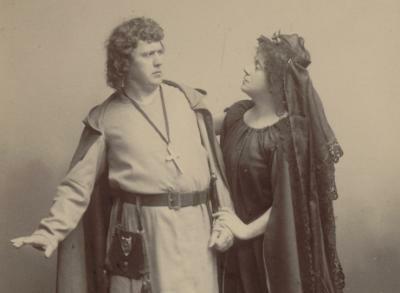 His first opera “Guntram“(1892) received only minimal success. His other theatrical pieces would however reach more success, especially the ones that he had written with “his” poet Hugo von Hofmannsthal – most notable “Der Rosenkavalier”. Why a world renowned soprano faked a fainting episode at the premiere of the “Egyptian Helen” and why “Der Rosenkavalier” had to be censored in 1924 in Berlin. In addition to his great operas, Richard Strauss also wrote other pieces for the stage, including the cheerful ballet "whipped cream", whose original score was given by the composer to the City of Vienna for the long lease of his Viennese property. The Alpine Symphony (1915) is the last tone poem by Richard Strauss and also the peak of his instrumental art. From the 1880s until the turn of the century, Strauss strongly focused on his passion for tone poetry and created works that would further emphasise his fame. These works would include “Thus spoke Zarathustra” and “Domestic Symphony” which he dedicated to his wife Pauline. Important points about “Thus spoke Zarathustra” and why Richard Strauss managed to upset the minds with “Heldenleben”. Richard Strauss composed several works for large orchestra, quite often on an ad hoc basis. A rather exotic occasion is for the celebration of the 2600th anniversary of the Japanese Empire, for which he wrote a festival music for large orchestra. Richard Strauss composed several works for large orchestra, often ad hoc basis. A rather exotic occasion is the celebration of the 2600 anniversary of the Japanese Empire, for which he writes a solid music for large orchestra. Waltz Sequence No. 1 for orchestra from Der Rosenkavalier, Act I and II. Richard Strauss composed for a wide range of instruments as well as for a variety of occasions. Especially moving is the profound "Metamorphosen" (filled with mourning for the destroyed homeland) which he creates at the end of World War II on behalf of the Swiss conductor and patron Paul Sacher. Even his father, Franz Joseph Strauss, introduces young Richard into the world of chamber music. He performs first composition works by the teenager with his orchestra club "Wild Gung'l". Shortly before his death the composer writes a piece for violin and piano. 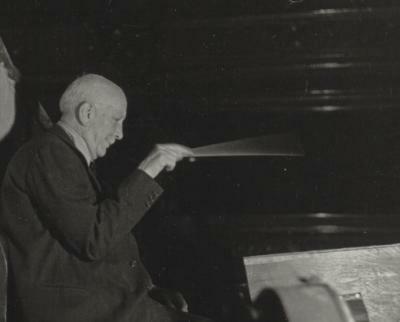 Already at the age of four and half, Richard Strauss was receiving piano lessons. He would stay faithful to this instrument for the rest of his life. He especially composed many pieces for piano at the beginning of his artistic career. Richard Strauss leaves us a great variety of songs from all decates of his compositional work. In addition for songs for solo voices, Strauss also writes melodrama, choral works, and other vocal music. Why his “Four Last Songs” were actually not Richard Strauss’ last songs, and what he would dedicate as a wedding gift to Pauline. Along with his great operas and orchestral works, tone poems and Lieder, Richard Strauss also wrote arrangements for pieces by other famous composers. In addition to this, a series of sketches for operas and musical comedies and a number of compositions in which he would leave the cast open. Die Feen von Richard Wagner (The Fairies of Richard Wagner) insertions for Act II.